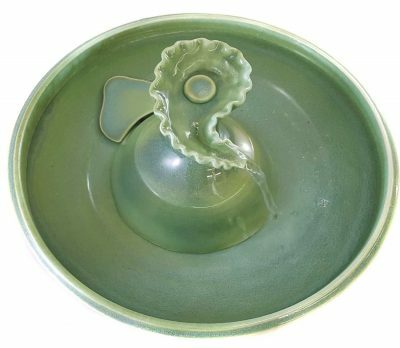 A beautiful cat water fountain from which your cats can drink using the stream, the turret or the bowl. * 3.25 inches high and 11.25 inches in diameter. The glaze for this cat fountain is our Deep Sea Green. 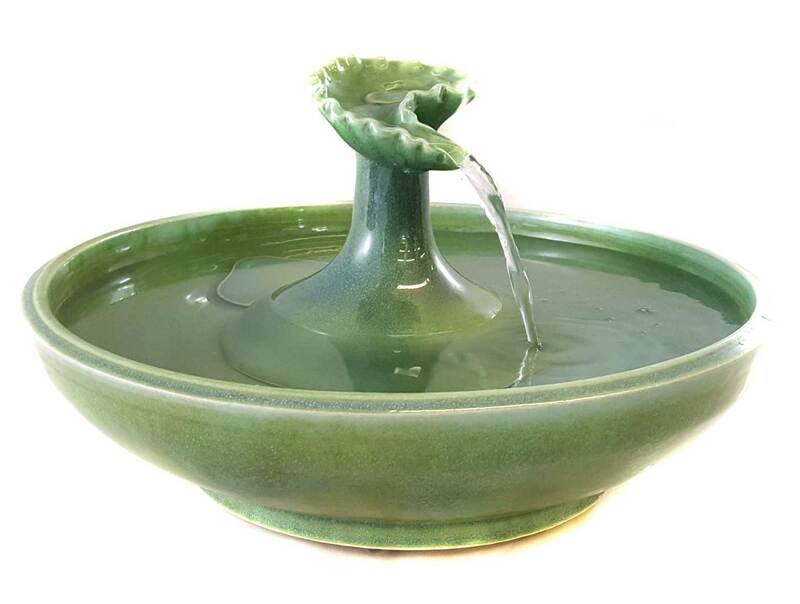 Water fills the turret and flows from the lip in a lovely stream with pleasing sounds. Run it with the insert for a more tranquil display, without for an up-flow. Cats can drink from the Turret, the stream and the bowl. 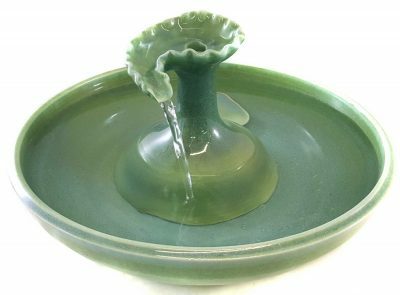 A wonderful cat fountain as well as an indoor fountain for home decor.